Sydney Moon | Launceston Then! 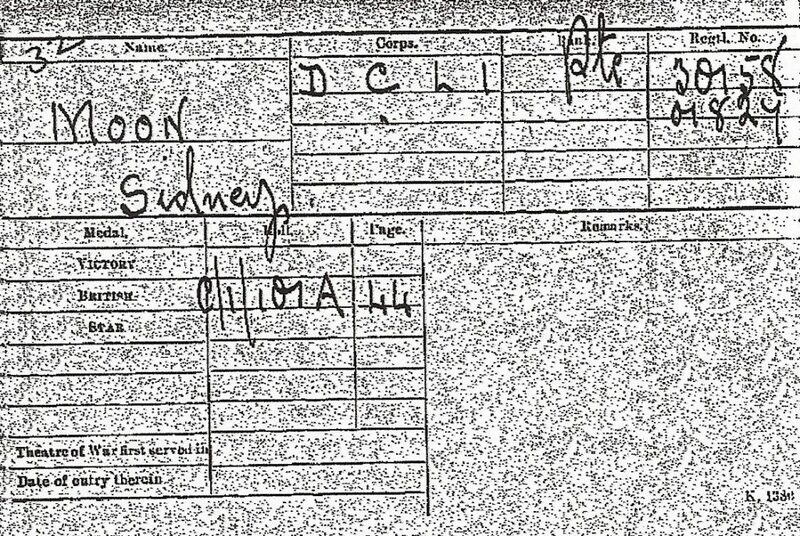 Sid, as he was known, was born on February 15th, 1889 to John and Georgina Moon at Baytree Hill, Liskeard. His father was a gardener. 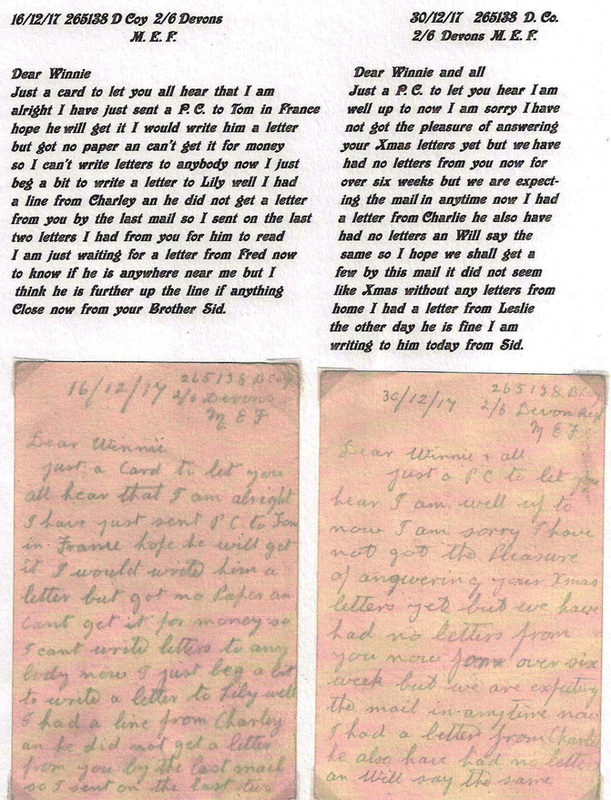 He was a Waggoner and Labourer and in 1911 was living with his brother at Ashmill, Broadwood. He joined the D.C.L.I. (Regimental No’s. 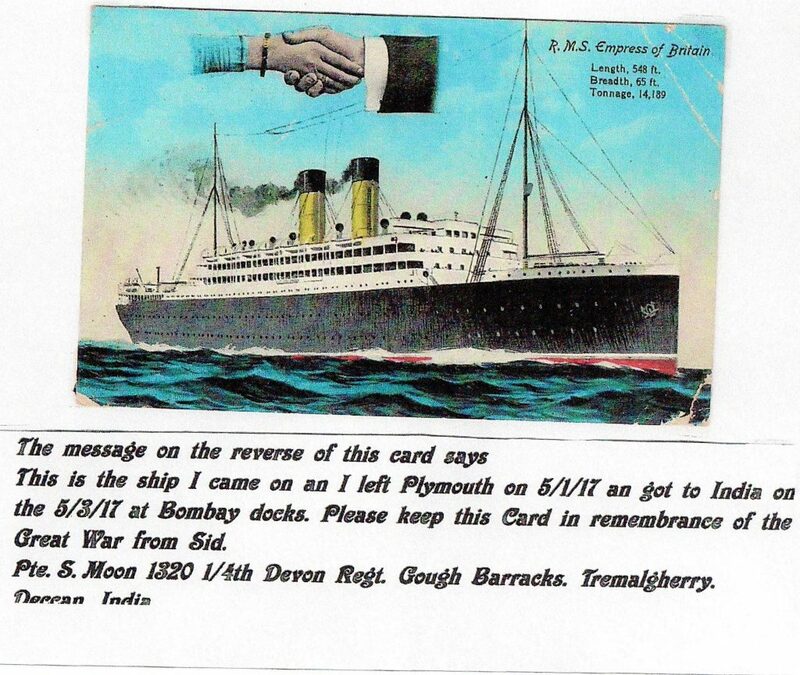 30158 and 01827) but was transferred to the Devonshire Regiment as a Private (Regimental No’s. 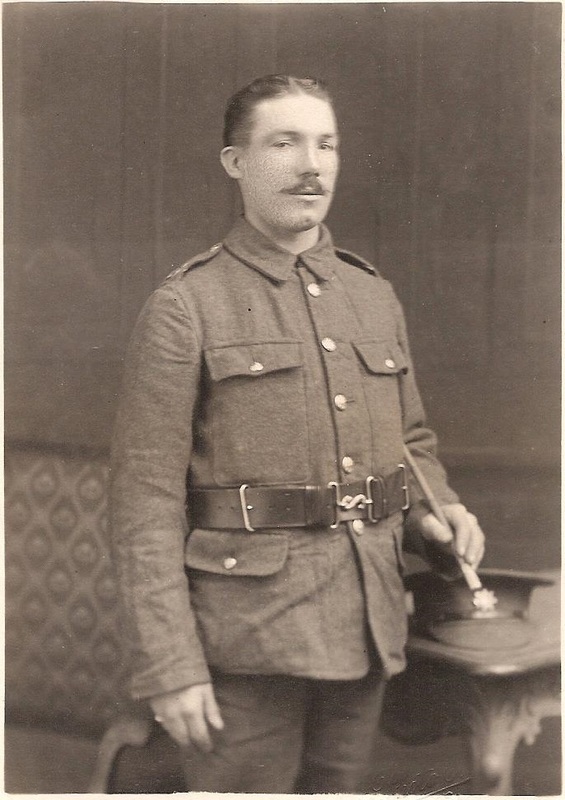 1320 and 265138) with the 1/6th Battalion serving in Mesopotamia where he landed on January 6th, 1916. Marching 300 miles up country through swamps, marshes and deserts, the 1/6th suffered sickness and attacks from local Arabs before reaching Orah. From here, in early March 1916, they launched an attempt to relieve the besieged garrison at Kut el Amara. Tantalisingly, they were within sight of Kut when a bungled artillery bombardment warned the Turks of their advance and heavy shell and machine gun fire forced them to retreat. The 1/6th lost 201 casualties and were congratulated on their bravery. In April they played a supporting role in the battle of Sannaiyat and in May launched an attack on the Dujullah Redoubt. 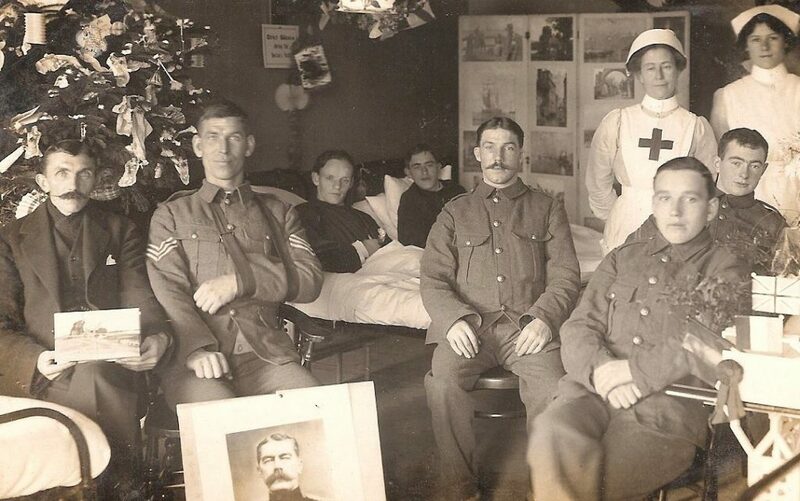 Blazing heat and lack of water caused more casualties and, despite drafts of 180 men from the 2/5th and 2/6th, in July their total strength was 7 officers and 180 men. The 1/6th became part of the 36 Indian Infantry Brigade. 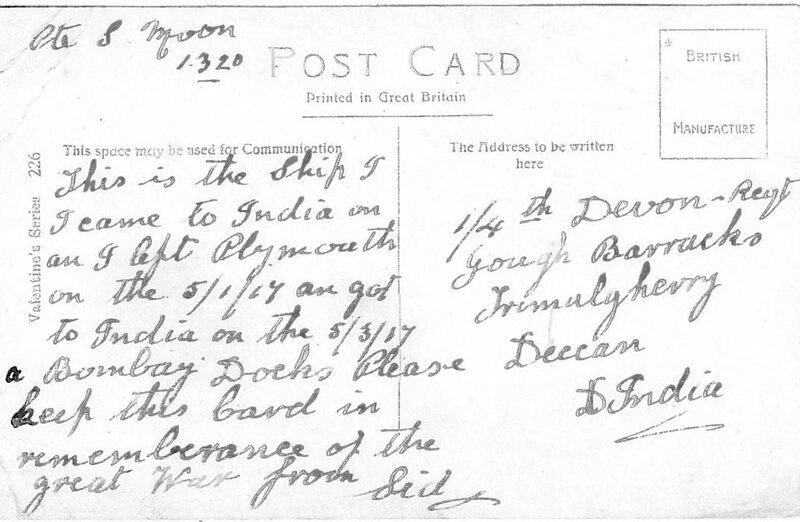 Sid was then transferred to the 1/4th Battalion of the Devons who left Plymouth for India aboard R.M.S. Empress of Britain on January 5th, 1917, arriving at Bombay on Marth 5th, 1917. 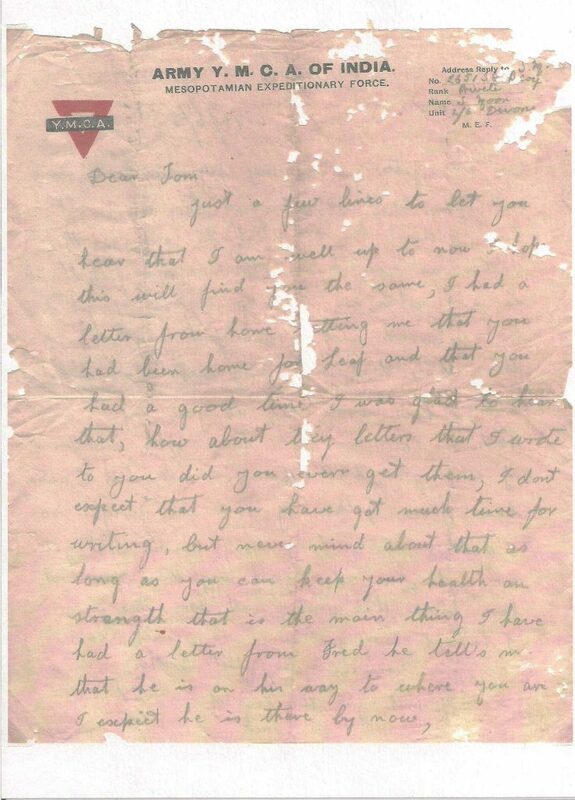 Here he was based at Gough Barracks, Tremalgherry, Dechan. Surviving the war, Sid returned home to live and work in the Germansweek area. He married Lillian Mary Cole. He passed away on August 8th, 1943 aged just 54. 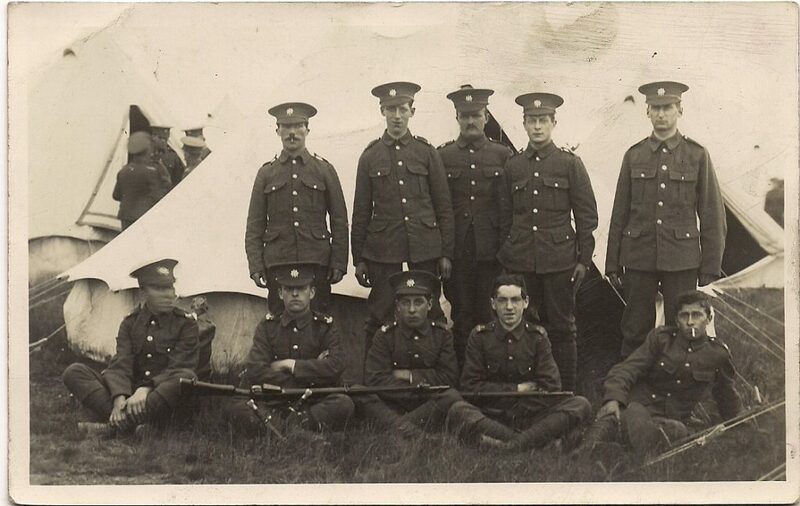 Devonshire Regiment with Sid Moon back row, 1st left and William Tubb back row, 2nd left.